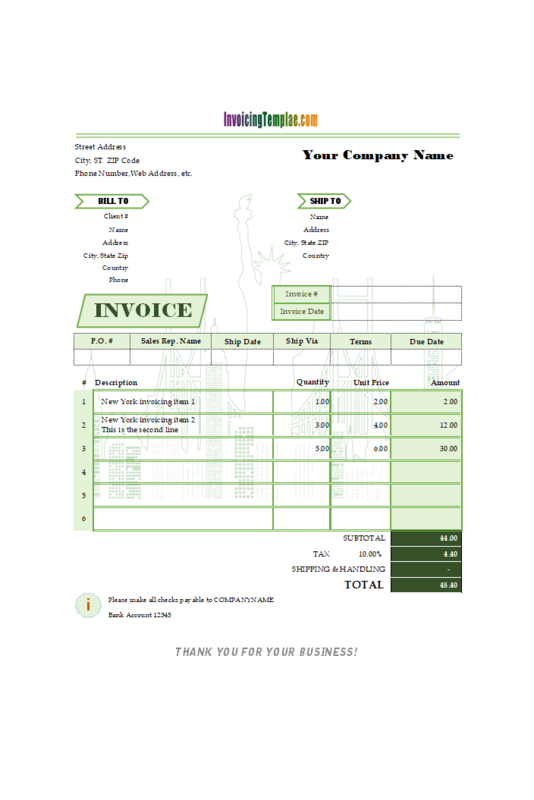 Excel Invoice Template Macro is a sub-topic of Excel Invoicing Templates . 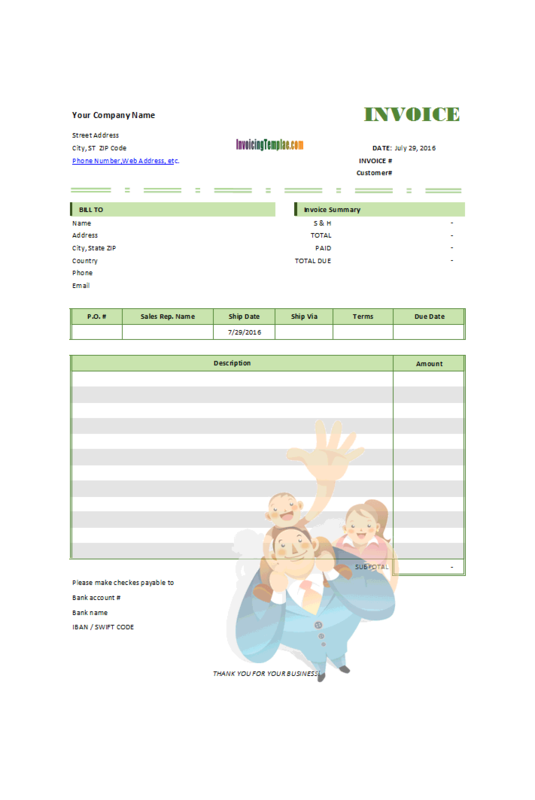 Here are our templates closely related to Excel Invoice Template Macro. 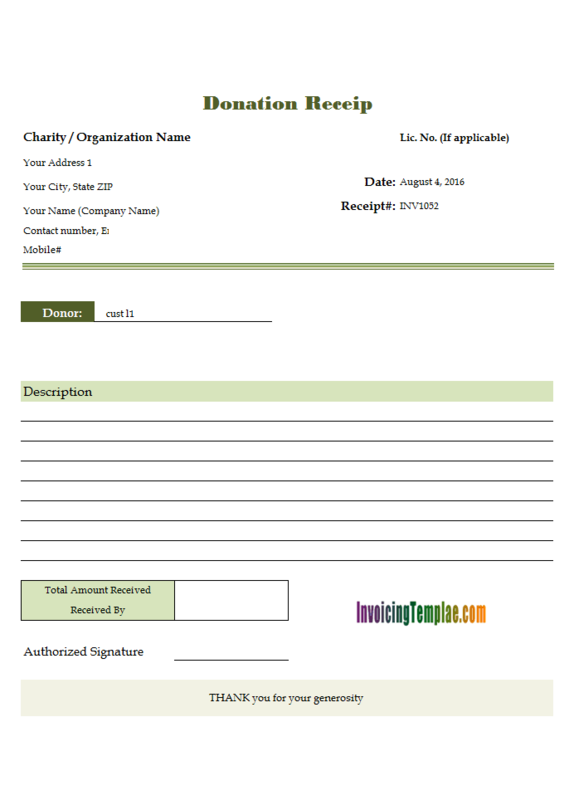 First of all, back up your template. 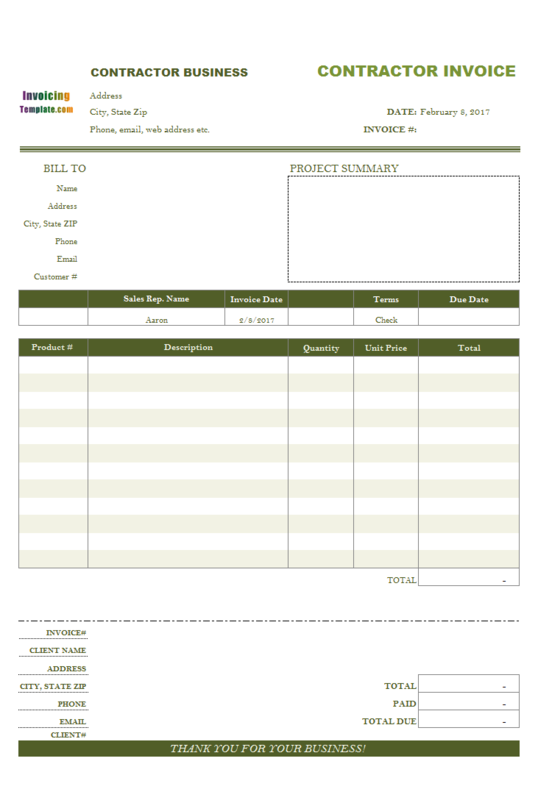 It is always recommended to back up the template before modifying the layout and format. This way, you could easily return to a working state in case something goes wrong during customization. 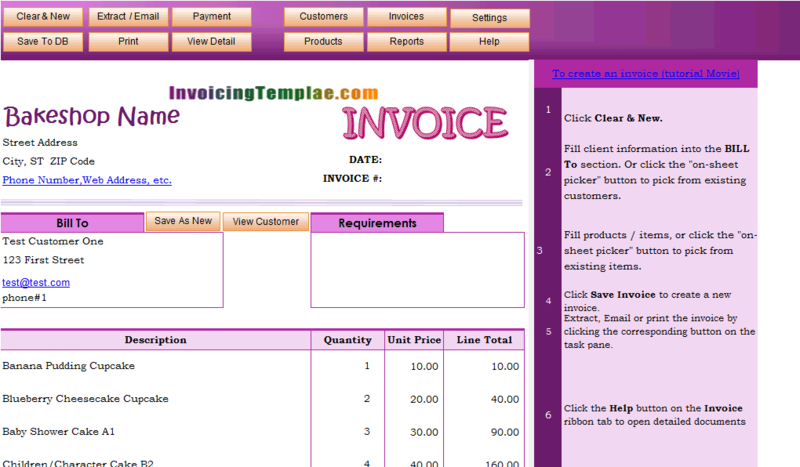 Now click to push down the "Design Mode" button on the "Invoice" ribbon tab. 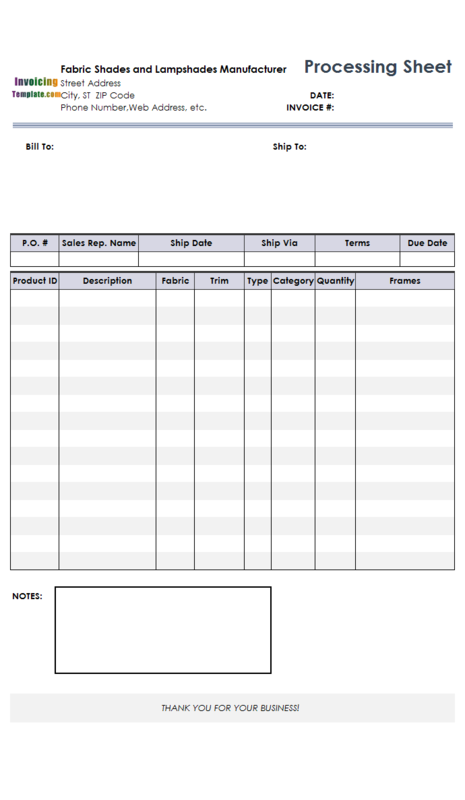 This switch the spreadsheet into design mode, showing gridlines and column / row headings, unprotecting the sheet, as well as push down the "Design" button on Excel "Developer" ribbon tab (The "Developer" ribbon tab is not visible by default). Now push down the CTRL key on your keyboard. 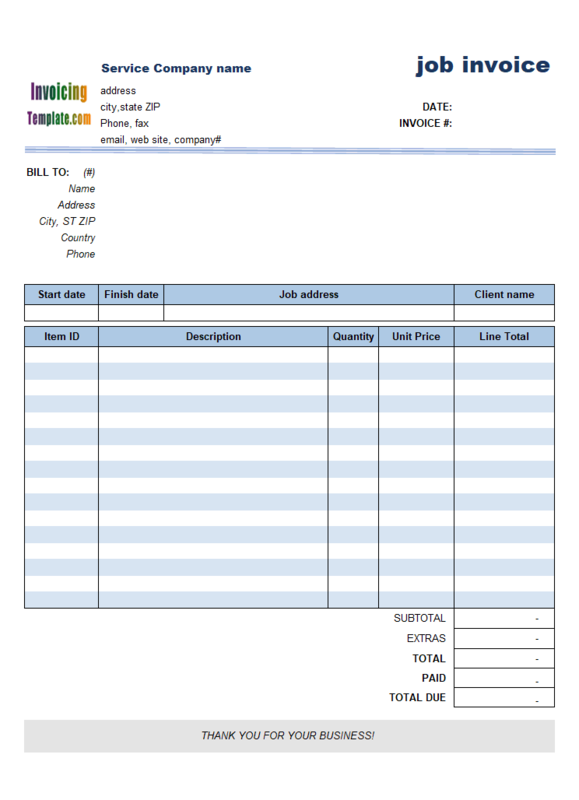 Without releasing the CTRL key, click the taxable boxes one by one with your mouse. 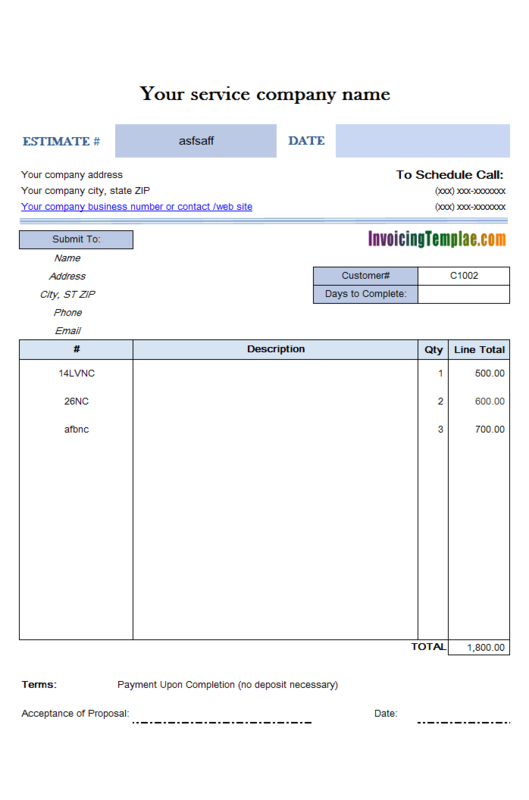 This select the taxable controls that you click. 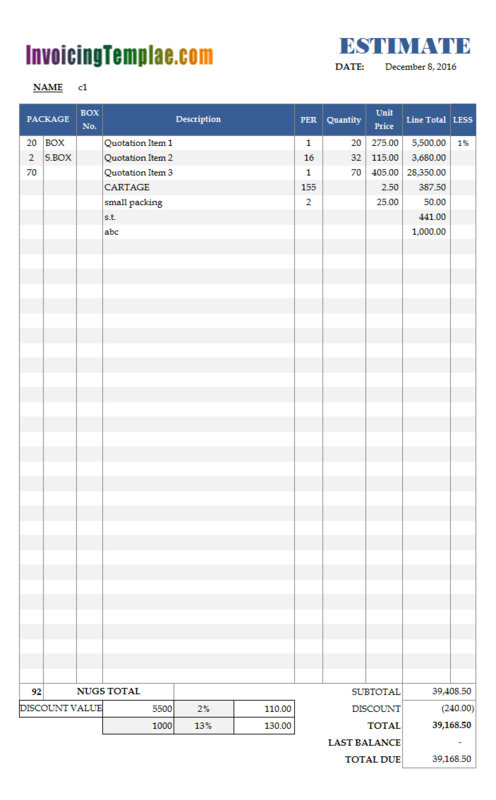 Once all the taxable boxes are selected, release the keyboard CTRL key. 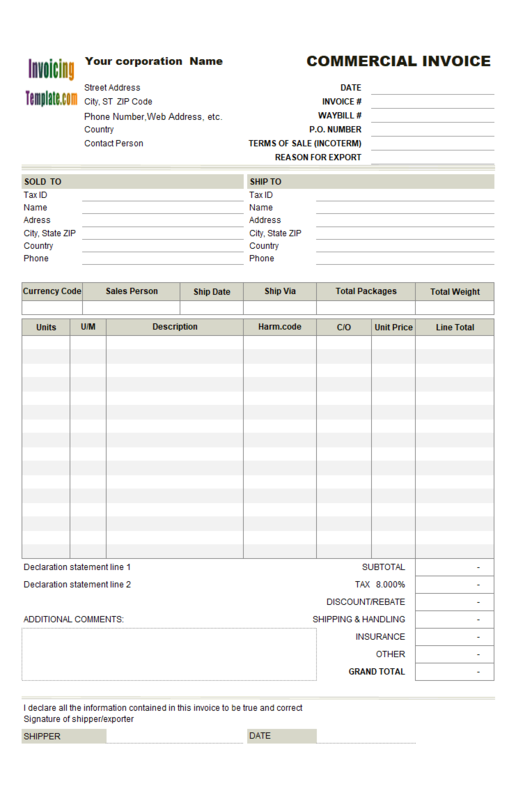 Click and drag one of the taxable box. 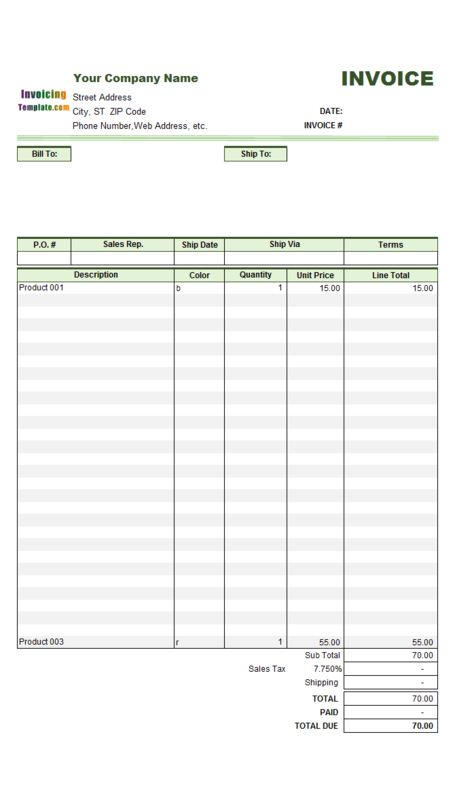 Drop it outside the printable area - in this sample, we put it on $C10. By dragging and dropping one of the selected controls, all the selected controls are moved to the new location. If you want to delete the controls completely, with all the controls still selected, hit DEL key on your keyboard. If you want to leave them there, skip this step. 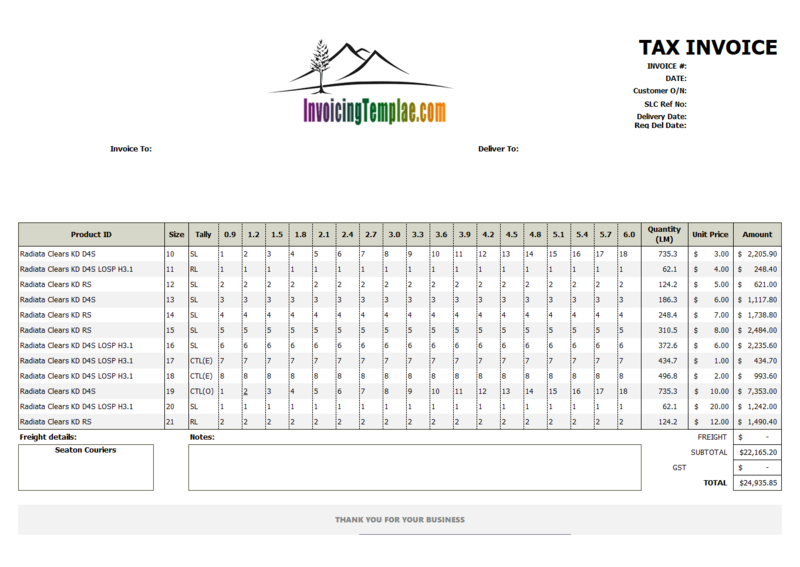 You can also modify the formulas of the tax fields to have them ignore the value of the taxable boxes completely. 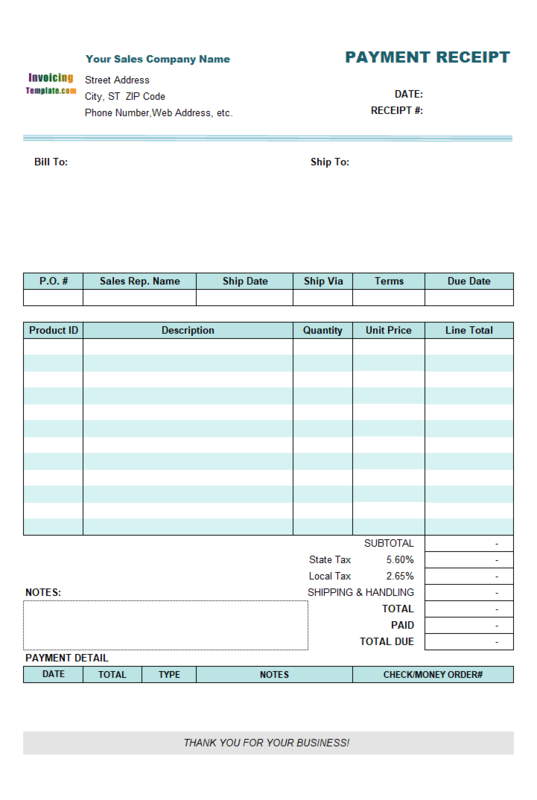 If all your products or items are always taxable, modify the formula of the first tax cell to " =ROUND( IF ( oknTaxType =0 ,0, oknTax1Rate * ( oknSubTotal + IF( oknTaxTotalIncludingShippingCost =0,0, oknShippingCost ))),2)"; and modify the formula of the second tax cell to " =ROUND ( IF( oknTaxType <> 2,0, oknTax2Rate * ( oknSubTotal + IF ( oknTaxTotalIncludingShippingCost = 0,0, oknShippingCost )+IF( oknTax2IsAppliedToTax1= 0 ,0, oknTax1 ))),2) ". 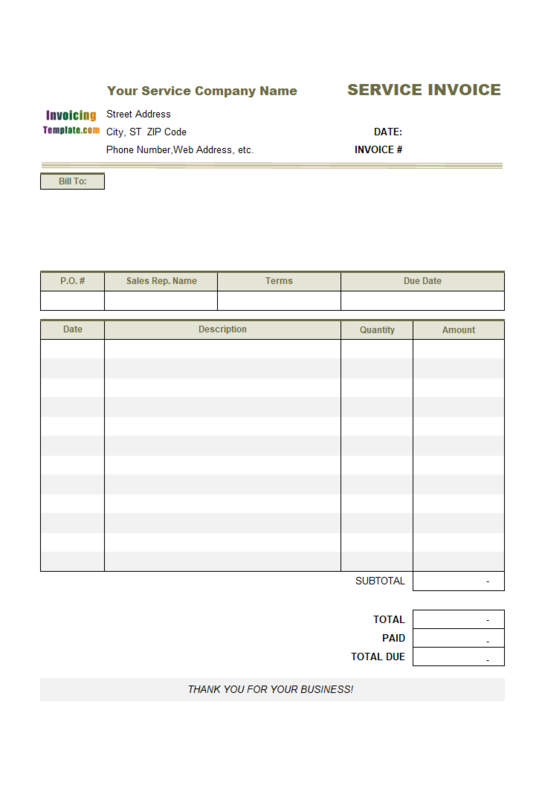 If all your products / items are not taxable, simply choose "No-tax" from the "Taxes" page of the Settings dialog box that could be opened by clicking the "Settings" button on the "Invoice" ribbon tab. 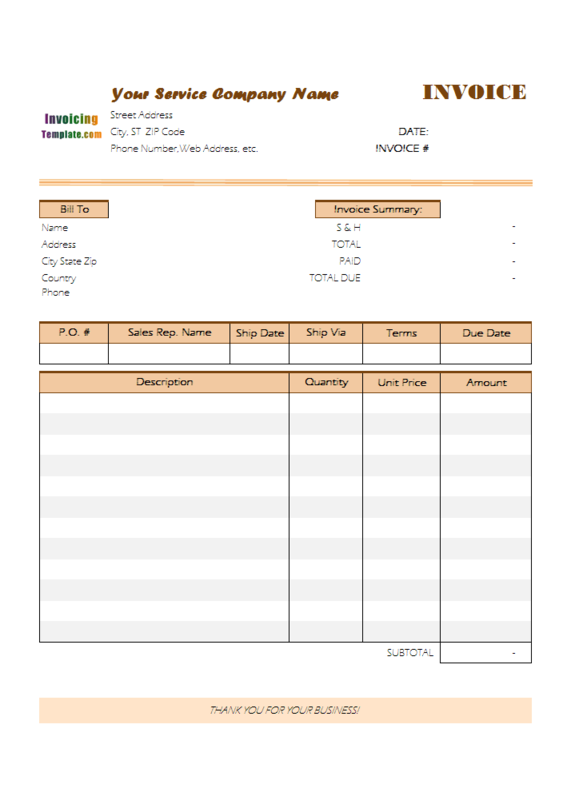 Now modify the column heading of the original "#/Taxable" column. 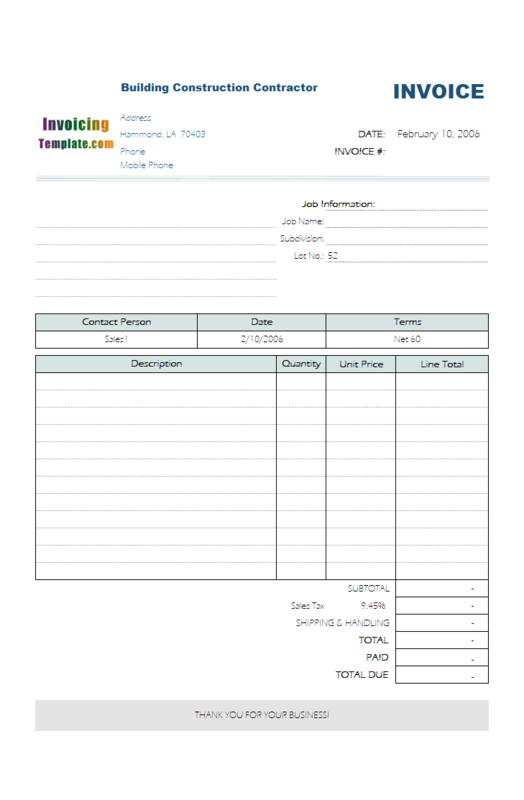 To do this, simply replace the text "#/Taxable" with something like "Item#" or simply "#". 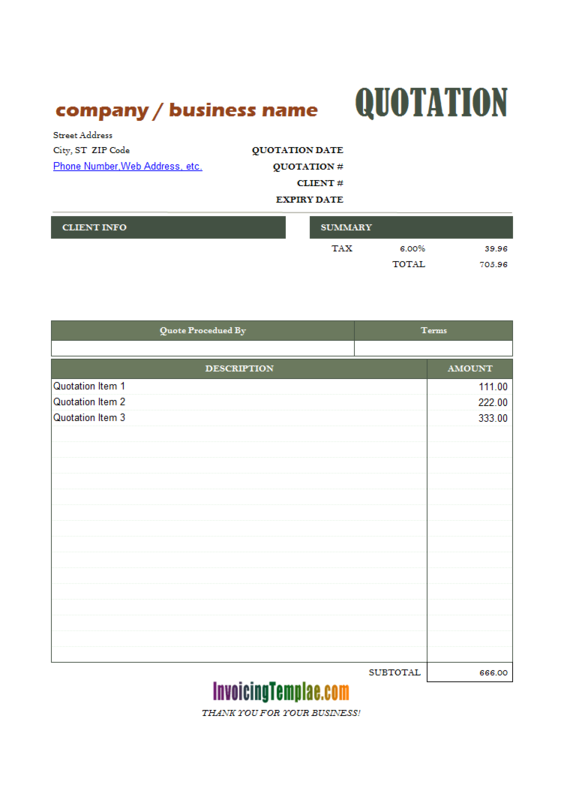 Once done, save the template by clicking the Save button on Excel quick access toolbar. 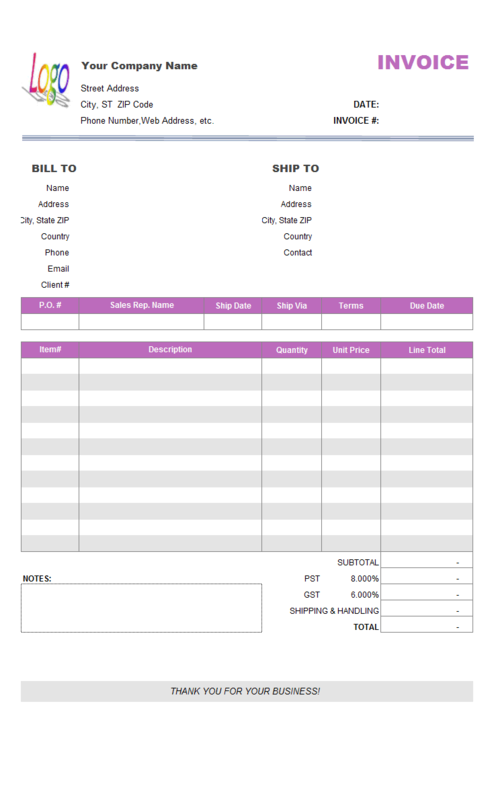 The "LESS" is also a manually editable field, which is designed as a percentage value. 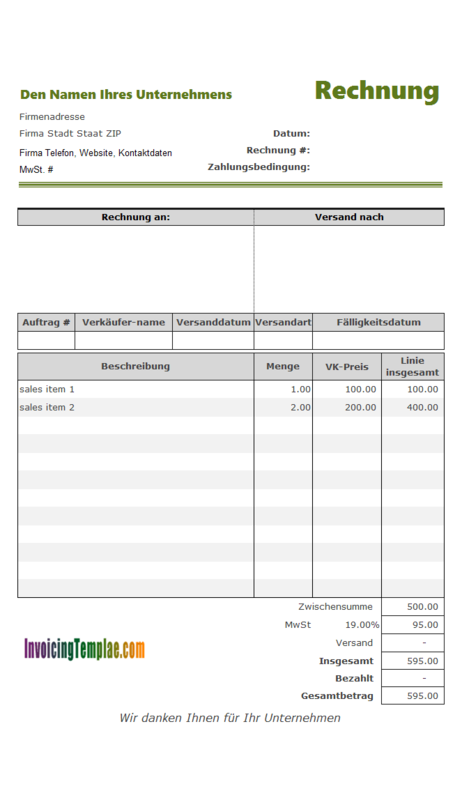 Here on InvoicingTemplate.com we've already have a category of templates for VAT invoicing at VAT Invoice Templates, which lists the Excel forms that could be used to invoicing German-based clients, this template differs from the others in that all the text labels are translated into German. 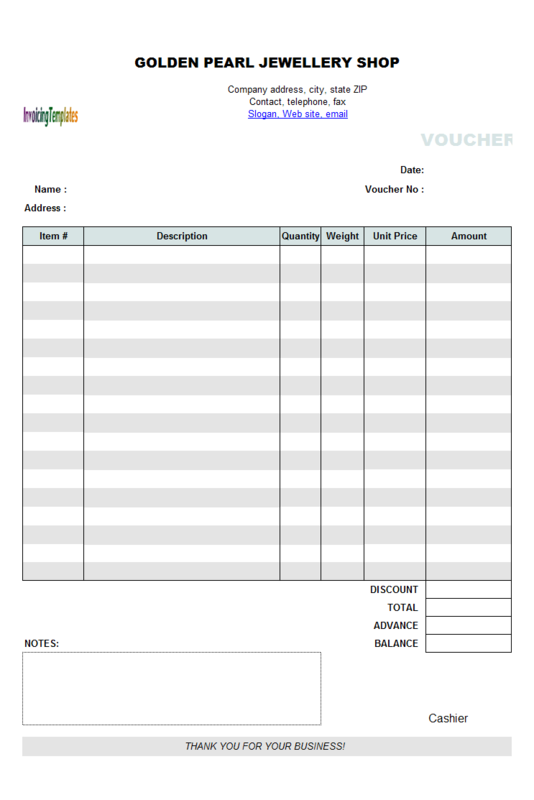 As detailed at 2016 European Union VAT rates, the standard Germany VAT rates is 19% for most goods and services, although a reduced rate could be applied for some foodstuffs; water supplies; medical equipment for disabled persons; some public transport; books; newspapers and periodicals; admission to cultural events; writers and composers; agricultural supplies; hotel accommodation; admission to sports events; social services; medical and dental care. 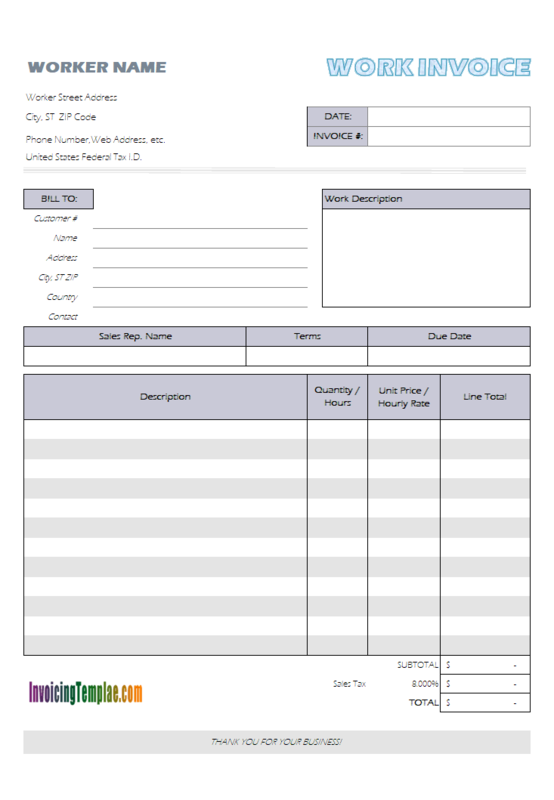 This sample template set the default rate to 19%, and assuming all items on the form are taxable. 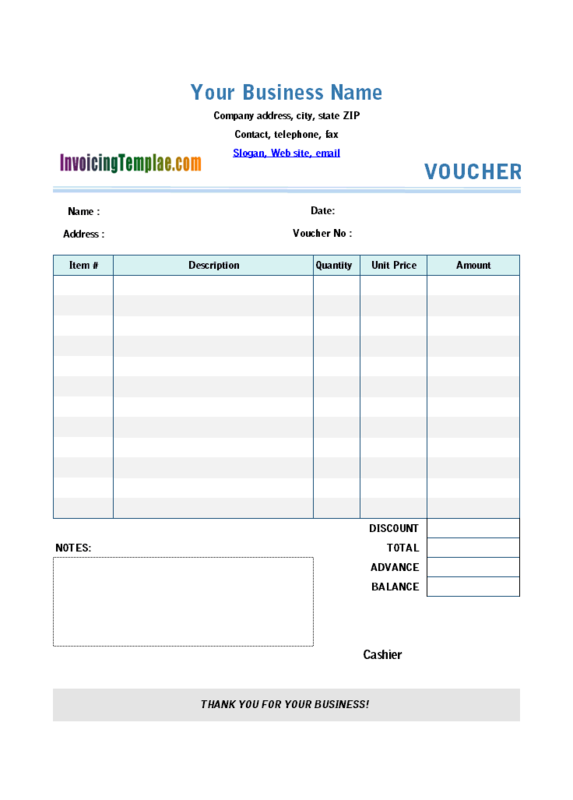 In case you need to change the tax rate with Invoice Manager for Excel (namely Uniform Invoice Software), follow the steps below. 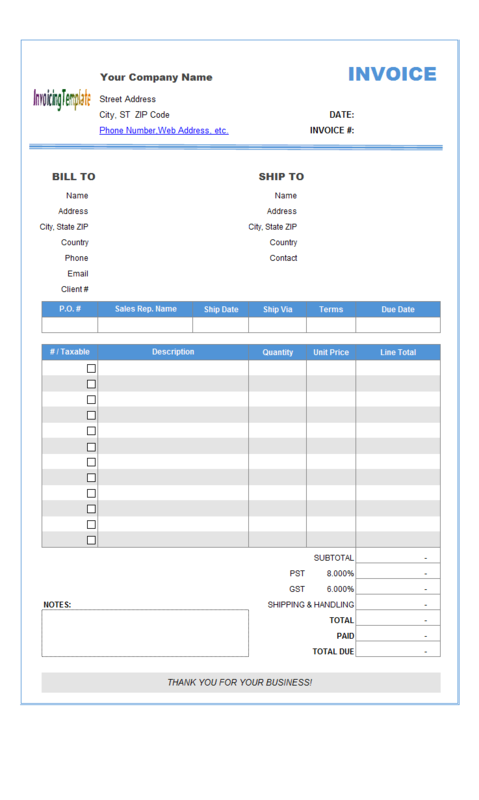 Print Shop Invoice Template could be used by a print shop or mail room for a school district. 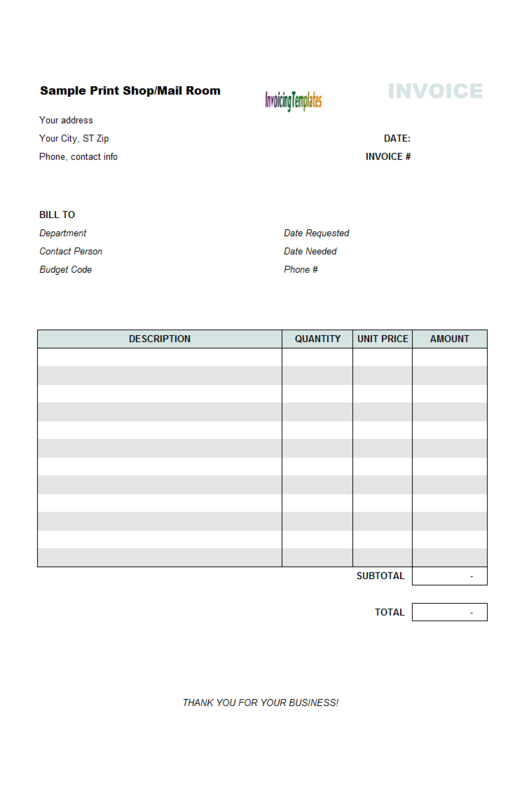 Compared to the default sales invoicing sample shipped with Invoice Manager for Excel (namely Uniform Invoice Software), in the Bill To section the "Name" changed to "Department", "Company" changed to "Contact Name", "Address" changed to "Department Code", etc.